Chef Bruno's Italian Joint Headed to Ed and Kay's. 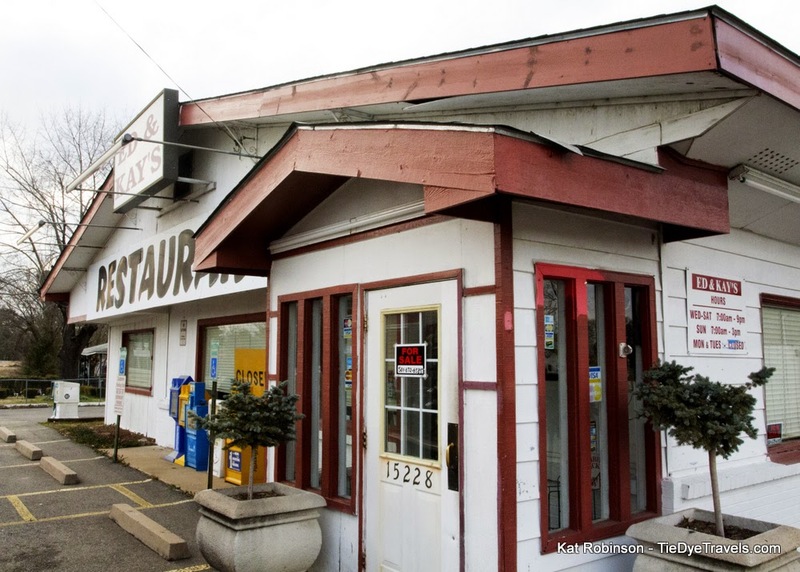 It's been eight months since Kay Diemer closed Ed and Kay's on a Saturday afternoon. Since then, the building on I-30 on the south side of Benton has sat there quietly, full of old memories. In just a few weeks, it'll reopen as a different venture. The old Ed and Kay's has been leased. "Bruno, he's a really nice guy," Kay Diemer told me this morning. "When I first closed down in March, he talked to me. He wanted to lease it and keep it as Ed and Kay's. I was hoping to sell the whole thing, but no one wanted to invest a lot of money." The restaurant's location out on a service road on the edge of town was popular in its heyday, but with the way restaurants come and go, I can see why it seems a little risky as a full on investment. Bruno is Chef Bruno Baqiri, the chef at Bruno's Italian Bistro on Bowman Road. That may be a bit confusing; the initial rumors circulating connected Vince Bruno of Bruno's Little Italy to the leasing of Ed and Kay's. While Bruno's Little Italy used to be located where Bruno's Italian Bistro is now, they are completely separate restaurants. Many were shocked when Kay suddenly decided to close Ed and Kay's at noon on the morning of March 1st. I was among them. But she had a reason. "My son was real bad sick, and I knew he was dying. And that day I thought, 'what in the hell was I doing here?' Something just told me to close the door at twelve o'clock. Here I was busy, cooking, having a big day. No one would close the restaurant at noon on a Saturday. But I knew he wouldn't live long..."
Her son passed away at the end of March. "The good Lord takes care of you," she told me. For Kay, deciding to close meant she could spend that final month with her son. She's thrilled to be able to lease the restaurant for this venture. "I'm glad Bruno's going to get it. I'm excited about him opening an Italian restaurant here -- we don't have anything quite like that here in Saline County. He's looking to start the first of the month. Everything's there, all he has to do is get everything he wants to set up. I really like Bruno and I hope it works out there." Chef Bruno Baqiri, who I talked with this afternoon, confirms the acquisition but doesn't have a firm date on opening the new location. Kay still has some plans. One of the questions I'm asked most about Ed and Kay's is, what's going to happen to those recipes? Well, they won't go to waste. "I'm in several books, people put our recipes, in. We gave them out. But we did a 10 inch pie, and most pies are smaller. We would have to work with them, test them to get them going. People ask 'what do you do with those recipes, Kay? They don't taste like the ones you cook!' Well, they don't use the same pot we use, or maybe it's not the same brand of things we use. "(Bruno) didn't buy any recipes," she laughed when I asked if Chef would serve her pies. "Thing of it is, we're doing several recipe books. I have three plastic boxes of recipe books we're in. Phyllis (Kay's former manager) worked for me for 32 years. We want to publish a cookbook. We want to do it in a humorous way, with pictures and all the crazy things we did all those 32 years." I have a feeling that book will be a best seller.